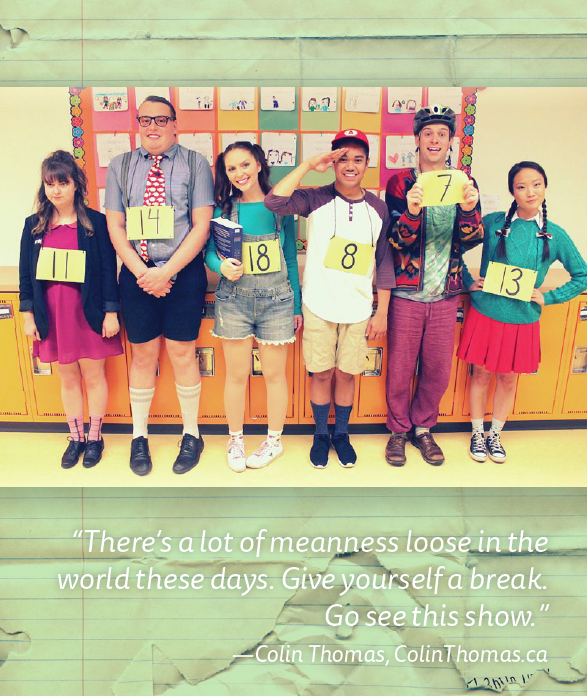 Winner of the TONY and the Drama Desk Awards for Best Book, The 25th Annual Putnam County Spelling Bee has charmed audiences with its effortless wit and humour. An eclectic group of six mid-pubescents vie for the spelling championship of a lifetime. While candidly disclosing hilarious and touching stories from their home life, the tweens spell their way through a series of potentially made-up words hoping to never hear the soul-crushing, pout-inducing, life un-affirming “ding” of the bell that signals a spelling mistake. Six spellers enter; one speller leaves! At least the losers get a juice box.